C.K. 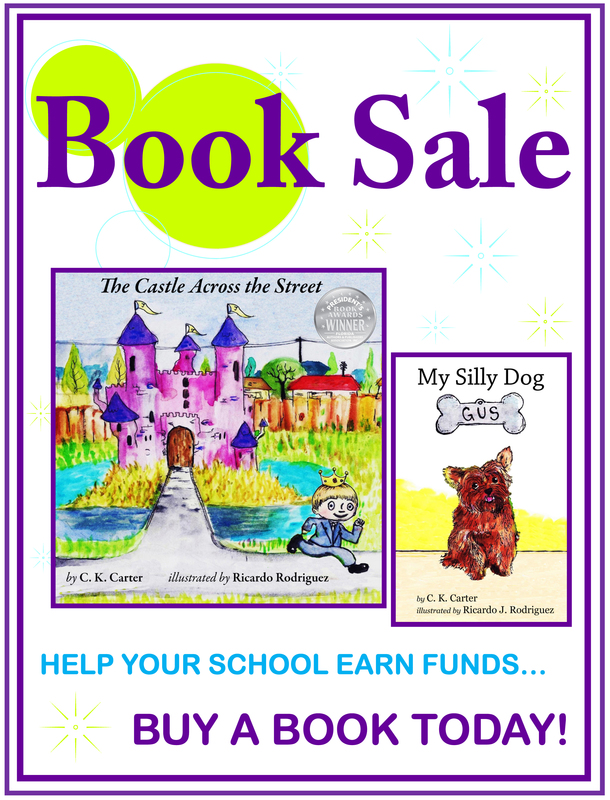 Carter Books is now available for fundraising to earn money for your school, group or organization (please only Palm Beach County schools/groups at this time). These children’s picture books make great gifts (holidays are coming) and will not only earn you money, but assist in encouraging our youth to become lifelong readers. C.K. currently has two titles available, but there will be new books added every year, so this fundraiser can be repeated and keep earning your group money. 1.Contact C.K. by submitting a contact form on this website, and C.K. will contact you to get things started. 2. Once the dates have been set, C.K. will drop off order forms, flyers, and a collection box. 3. Hand out the materials to the students/group members. 4. Sell, sell, sell. The books are Lexiled for school use and also make great gifts. 5. When your fundraiser is complete, let C.K. know and she will stop by to pick up the collection box. 6. C.K. will place the orders, package everything up and deliver to your organization, ready for distribution. She’ll also bring your earnings check! 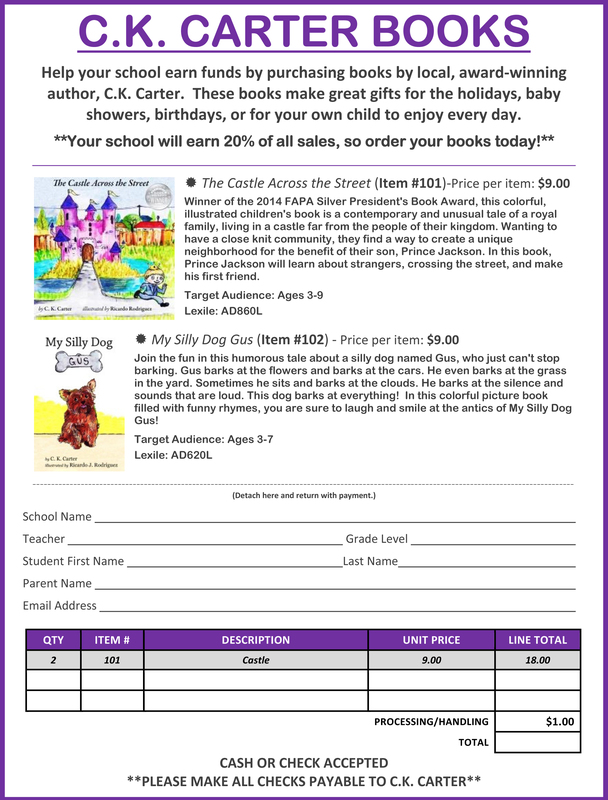 For each book sold, you earn 20% (that’s $1.80 per book). Attached is a copy of the flyer and order form (which can be customized to fit your group’s needs, including due dates). Again, please contact C.K. by filling out the contact form on this website, to get started earning funds today!